Chelsea to make raid for highly-rated Mexican winger? 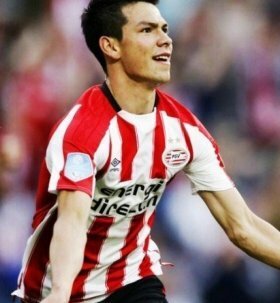 Chelsea boss Maurizio Sarri has reportedly set his sights on signing Hirving Lozano from PSV Eindhoven when the transfer window reopens next week. According to Calciomercato, the Blues boss is keen on signing the Mexico international during the winter period as he seeks to reinforce the attack front which has regularly misfired barring Eden Hazard. It had previously been indicated that PSV would not consider any mid-season deal for the Mexico but there seems a change to that perception with the Dutch club no longer plying their trade in Europe. Still, the Blues are unlikely to prise away the attacker on the cheap and the Eredivisie holders may potentially demand in upwards of £45m in order to part ways with the 23-year-old. Chelsea are currently holding a slender two-point lead over Arsenal in the pursuit of the final Champions League spot but they can extend the gap further when they play their game in hand over Crystal Palace on Sunday.